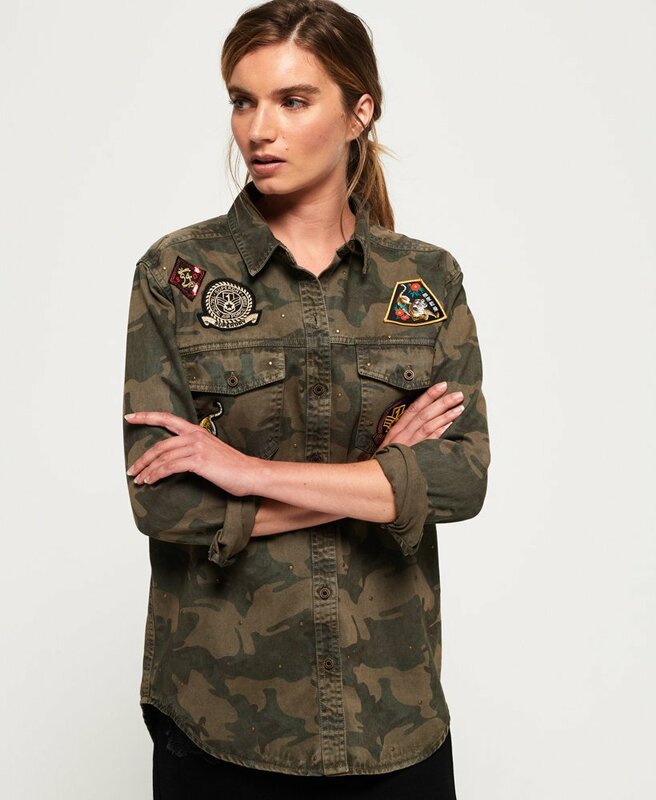 Superdry women’s oversized denim shirt. This oversized denim shirt features applique logo badges throughout, twin button fastened chest pockets and button cuffs. The shirt is finished with a subtle, metal Superdry logo badge on one pocket, and distressed detailing. Wear this shirt with skinny jeans or dress it up with a mini skirt.